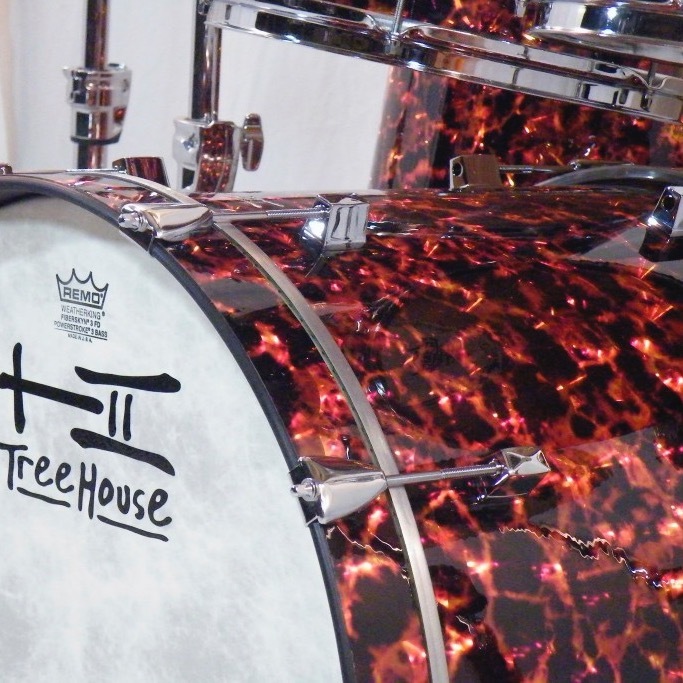 And that’s a wrap! 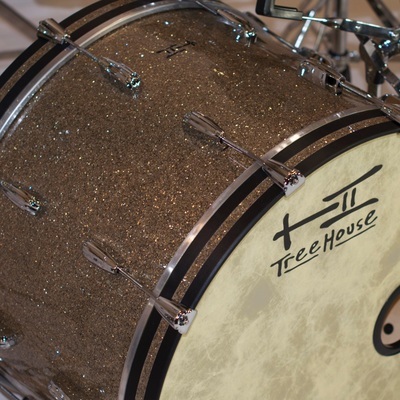 Hug your TreeHouses with Sparkles, Glitters, Onyxs, Pearls, Solids and more! 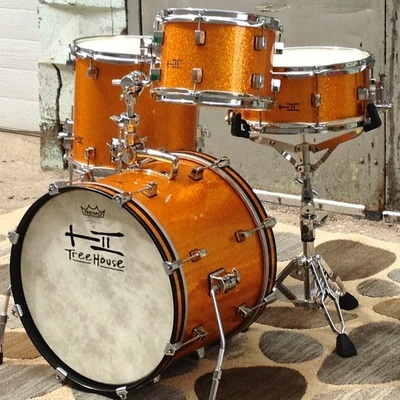 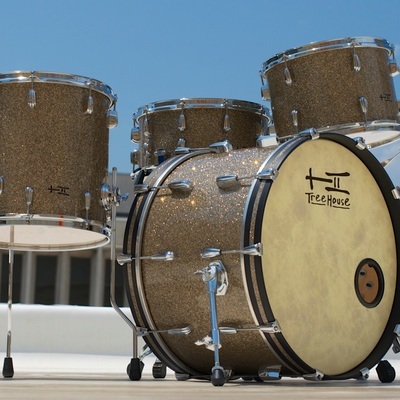 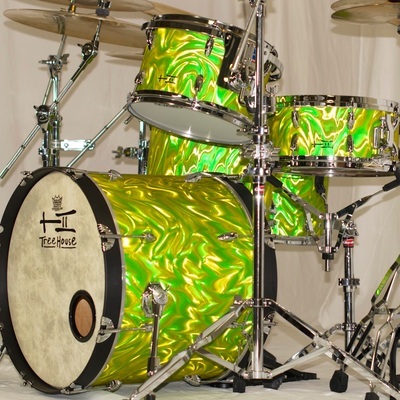 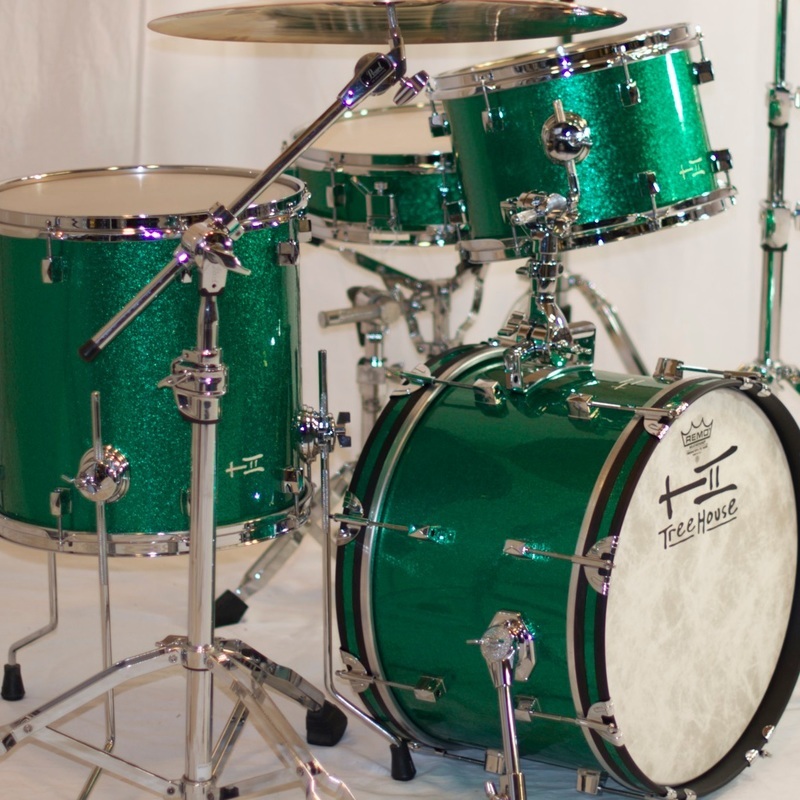 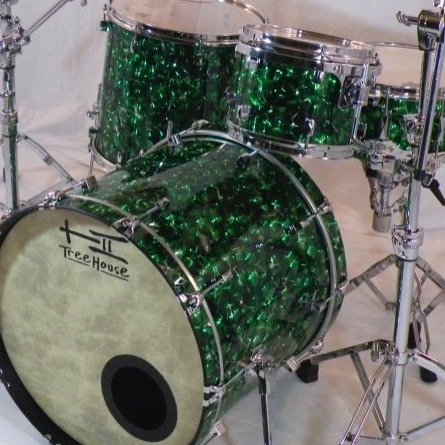 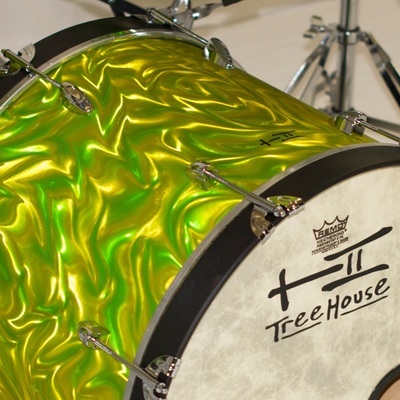 TreeHouse Custom Drums are available wrapped a variety of coverings. The way we do it lasts. 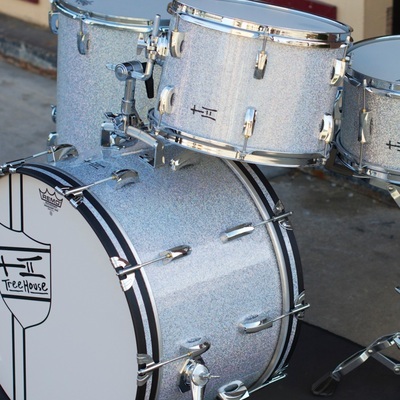 Instead of just sticking a strip of double-stick tape under the seams, we do it the other way. 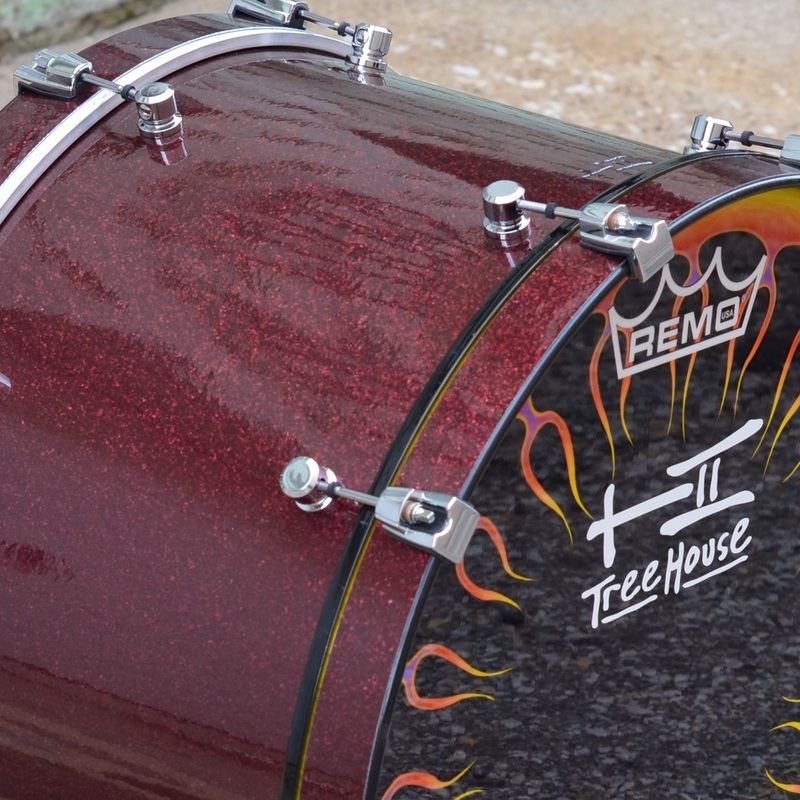 We paint the entire shell and entire wrap with a special contact cement, allow it to dry, then get one chance to line things up for a super-tough gluedown. 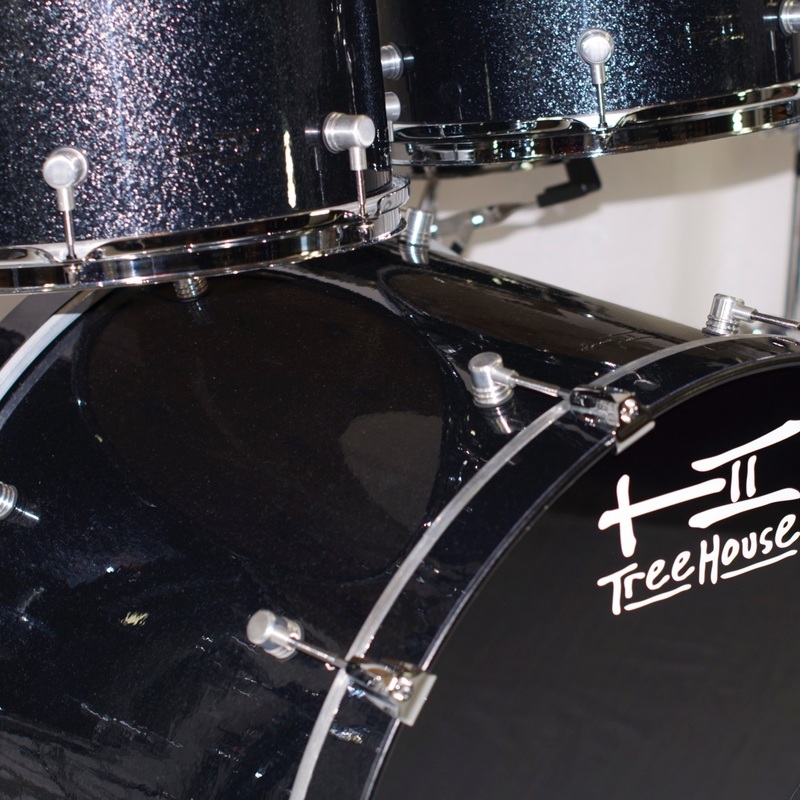 At the seam, we cut back a ½” notch of the top layer at the bearing edges making them flush with the bottom layers. 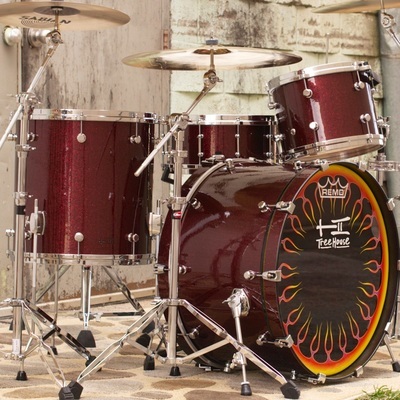 This allows the router that cuts the outer bearing edge to have a uniform surface to ride as it travels around the drum. This whole notch thing is covered up by the head and rim. 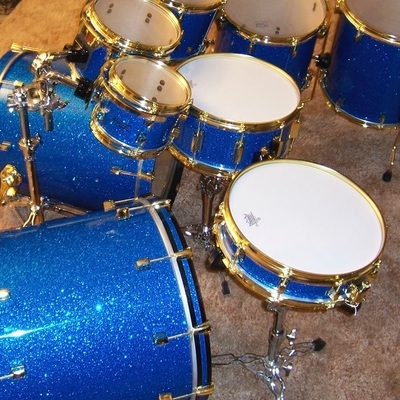 With any wrapped drumset, you get your choice of a few options regarding the bass drum hoops. The most typical are: 1) natural maple 2) all black 3) black with ½” inlay strip and 4) black with full exterior covering. How do you want yours? Finally, we add another layer of surety to your wrap’s lasting cling by either supergluing or plastic welding (this is where we use a chemical that slightly melts the two layers where they overlap and cures as one solid layer) the seams. 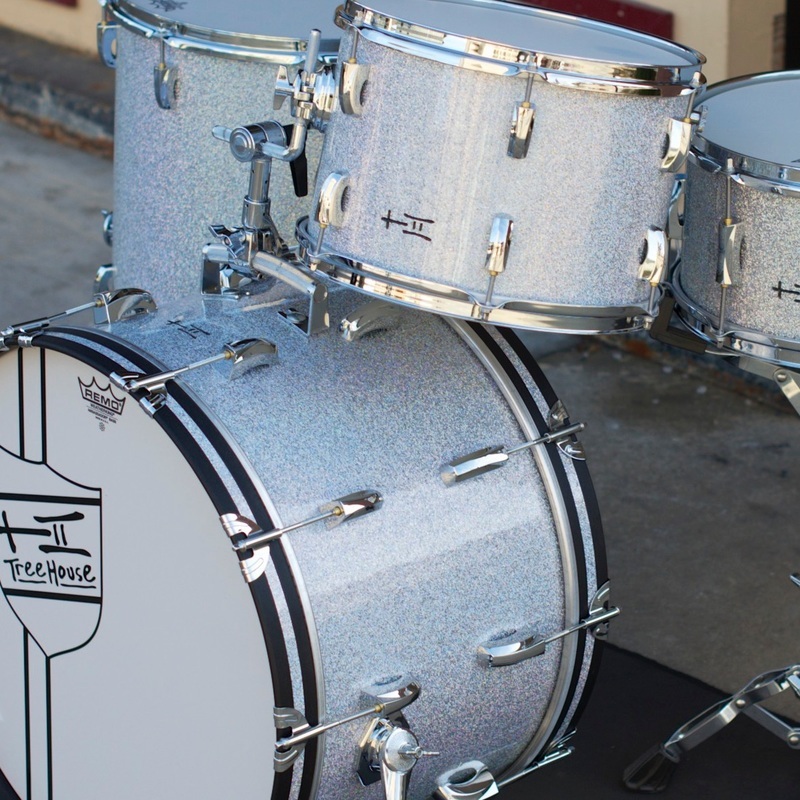 As with any wrapped kit, we recommend you avoid direct sunlight for extended periods of time and car trunks in the summer.